The salon had now been open for about 3 years, we were only just profitable and I was working harder than ever, often 6 days a week plus extra time when I got home working on website updates, advert designs and finances. It was a tough time with little reward (certainly no holidays!) but I had to stick with it. Around this time I got into my head that the fact we were on a first floor was a major disadvantage and thought if we had a more prominent position on a ground floor we’d experience faster growth. Another property owned by my current landlord became vacant and seemed perfect. It was much higher rent with high rates too - a much riskier proposition, but I was convinced it was a move we needed for us to push forward. I signed the lease and set about starting plans to relocate us. The prospect of having a brand new salon in a much more prominent spot was really exciting but once work began I realised I’d taken on way more than I could chew. My first premises were pretty much a ready made salon, this was just an empty shell! It needed a serious amount of work and I’d grossly underestimated costs. We got about half way through the project - the rent free period was ticking down while my financial commitments were getting higher and higher! It was serious stress! While this was going on my wife at the time was diagnosed with a life threatening condition and had to have major surgery. The combination of all this felt like everything was unravelling! All my priorities shifted and I completely lost focus on the business. I was almost ready to let it collapse, even face the possibility of bankruptcy. To hold things together I decided I had to put a halt to the relocation. My landlord was fairly understanding, considering, and allowed me to get out of the lease but I’d already accrued about £30k costs on building works, rent and rates. I also had equipment leases signed up for that I had to try and get out of. It was a bit of a nightmare but family and friends rallied around to help me sort everything out while I was back-and-to to the hospital. Once everything settled down I could refocus on Jakata. The stress lifted and a new level of determination to make it work came over me. I decided to step back and re-evaluate what was working and what wasn't. The holistic therapies weren't really working so decided to move more towards the higher demand beauty treatments. 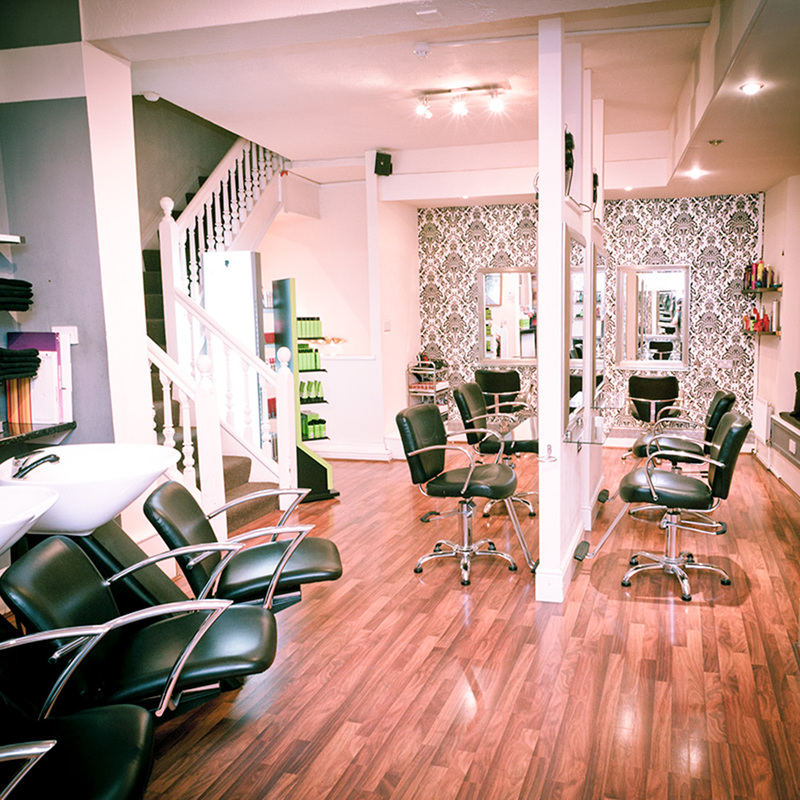 The style of the salon started to feel dated and could potentially put off clients and future employees. We made a fair few superficial changes. Updated the look and feel of everything and adapted our marketing materials to reflect our fresher look. We wanted to keep all the aspects that worked but remove what wasn't whilst creating a less cluttered feel to the place. I just settled back into doing what I loved and my ambitions to make Jakata a prominent hairdressing brand. About 4 years in things started stepping up a bit. We got to a point where we were running out of seats (we had 5 at this time) so built some units in the centre of the salon to allow for an extra 3 chairs. We then did a big recruitment drive. Jim (the current manager of JAKATA and PK) came in looking for a salon to do his apprenticeship. We took him on and obviously never looked back! Kellie (who is now the team leader at PK) also joined us around this time. There were a lot of major changes, but it felt right. We increased our staffing and things finally seemed to be progressing in the right direction. Taking on the extra financial overheads payed off, with the salon finally having the buzz and rise in new clients I'd been waiting for. The beauty department also started making profits and the reputation of JAKATA was well and truly growing. After taking on more staff, we had reached a point where we were running out of seats again! The eight chairs we had were full at peak times. We had a lot of waisted space - the huge reception desk and reception area took up loads of space plus we had a separate waiting area - though comfy and quite unique it wasn't really necessary. We decided to chop the desk in half, lose the sofa and move reception into the waiting area to free up space for 4 more units. I was reluctant at first as I loved reception where it was but if it meant we could make way for four more seats with the potential to get more stylists in then it was a no brainer! We continued to bring people on board, training up apprentices and taking established stylists on too, always at a nice steady pace to ensure we could instill our brand values. We worked hard at implementing structure and systems plus controlling cashflow. We were becoming a well oiled machine and things mostly ran smoothly. Over a few more years we reached a point where the salon was bursting at the seams. It was like musical chairs. Always running out of seats and backwashes at peak times. It was time to look at expanding. I had been working on an a plan where I would open other salons and let big hitting team members that wanted to progress to the next level get involved with creating their own brand with potential investment opportunities. A way to branch out in town centre. I loved the idea of creating another brand that was completely different to Jakata, to try and tap into a different market.